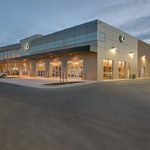 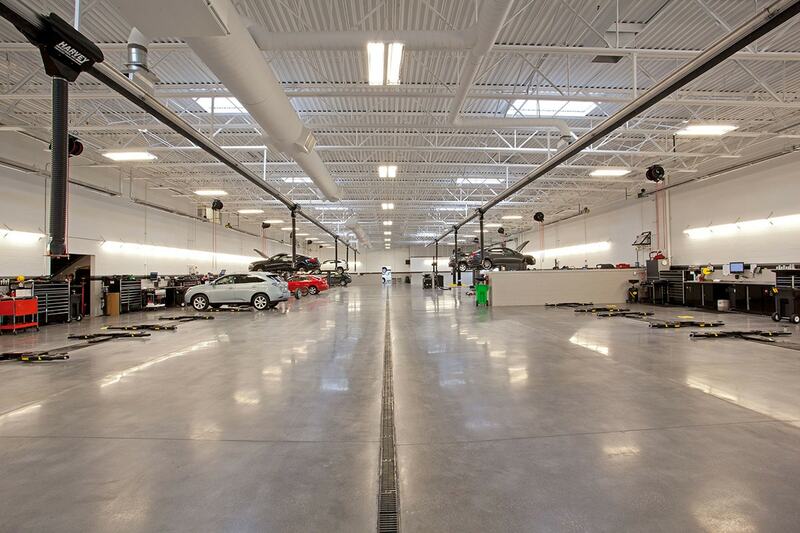 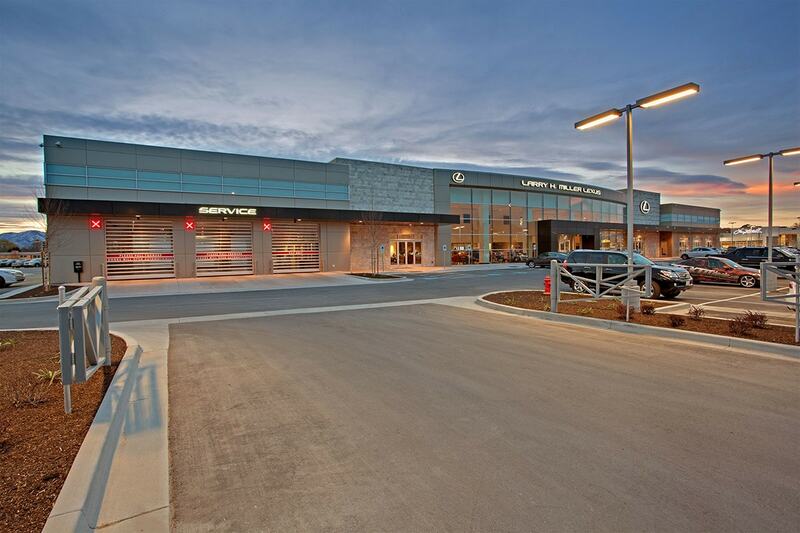 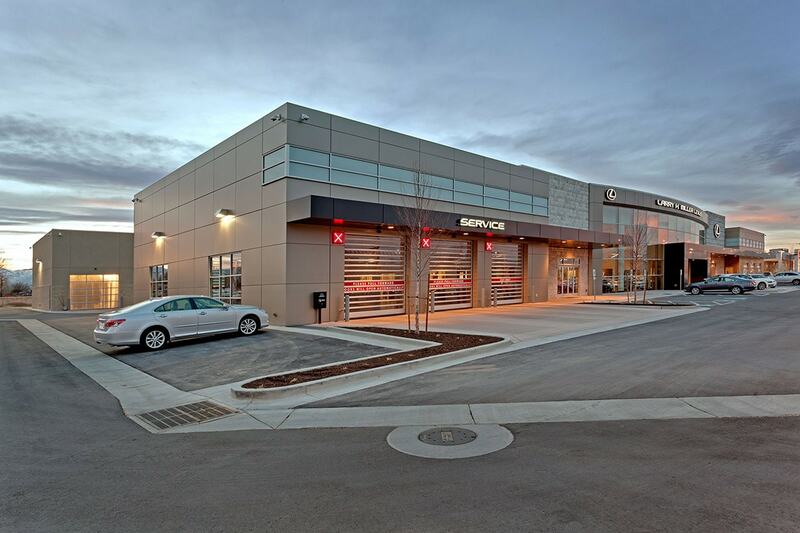 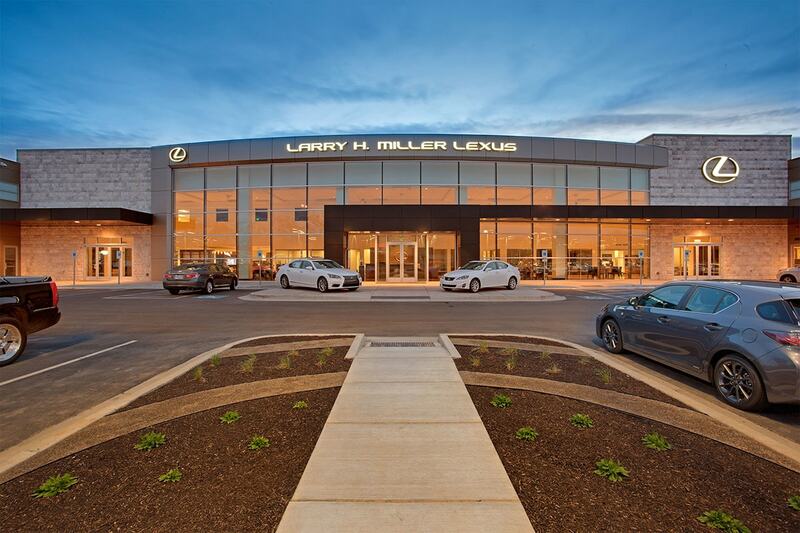 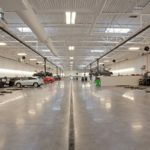 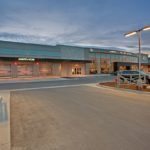 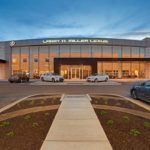 The Larry H. Miller Lexus complex is a high-end automobile dealership, and its design and finishes reflect the luxury of the vehicles it sells. 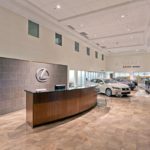 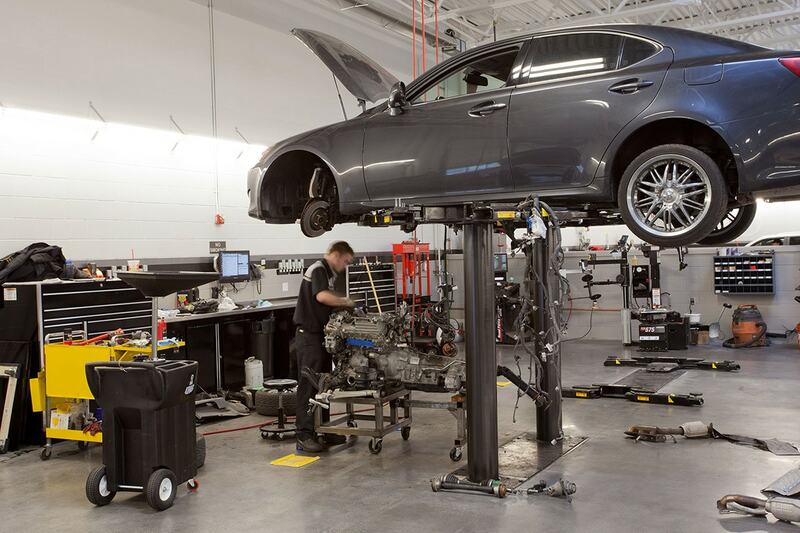 Like other Lexus dealerships (and unlike most car dealerships), it has an unrestricted fluid design format. 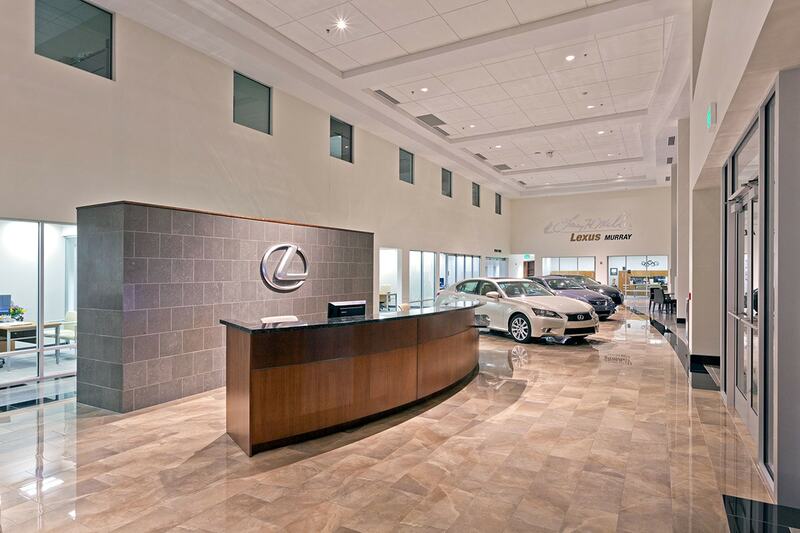 The patron areas—entry, lounge, and showroom—showcase upscale finishes such as natural stone, Marrazi Tile’s porcelain Evolution Stone which was just introduced into the United States, and a frameless, bi-folding glass door into the Parts Retail Department. 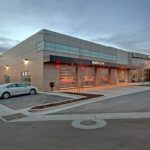 The exterior of the building is graced with a 110-foot gently sweeping radius curtain wall glass crowned by beveled aluminum composite material (ACM) and complemented with limestone. 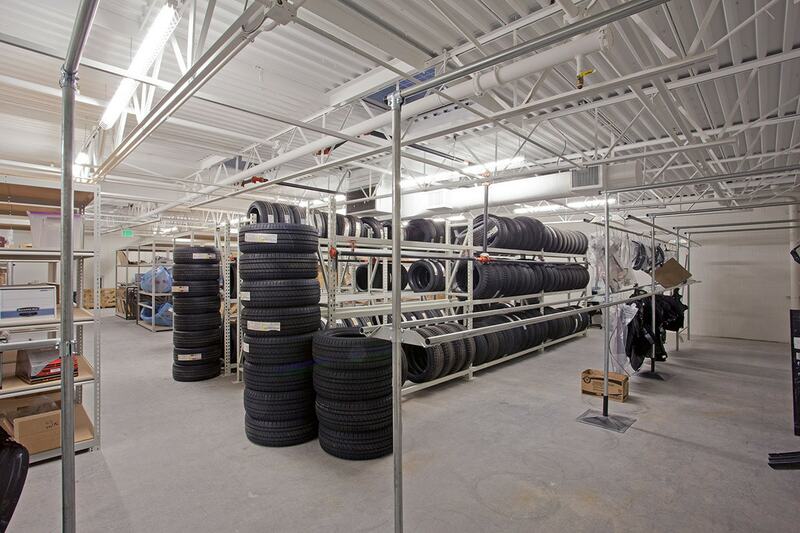 The five-acre site has a 321-stall parking lot. 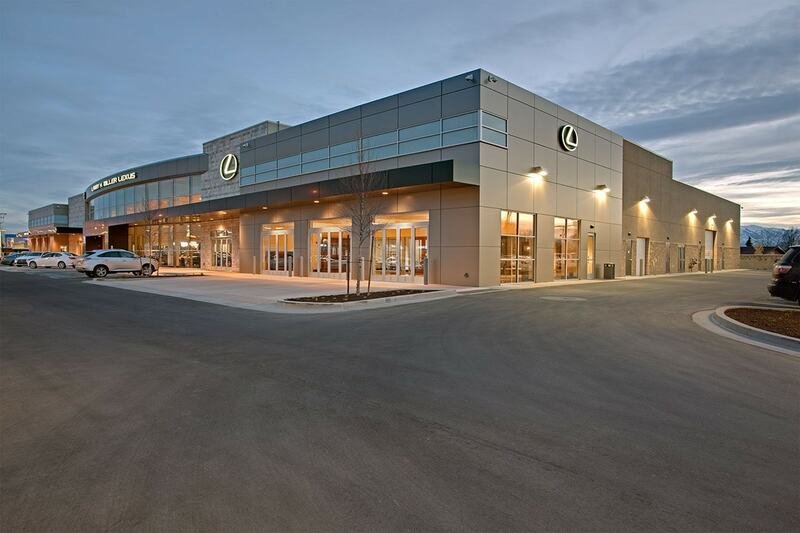 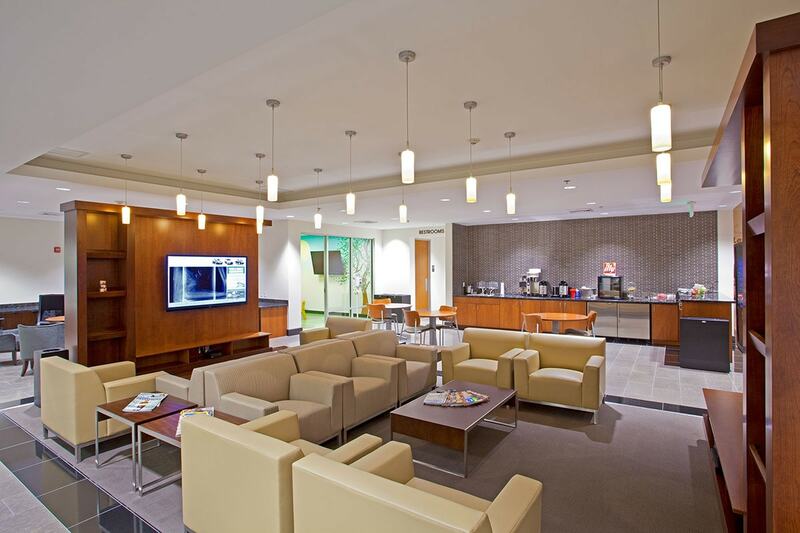 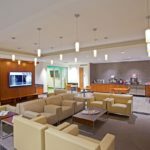 The facility includes six sales offices, five service offices with convenient service drive bays and lounge, six quick lube bays, 23 service/lift bays, four detail bays, a car wash, a parts warehouse, three finance offices, a training room, a breakroom, and supporting management and accounting space. 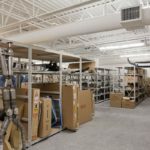 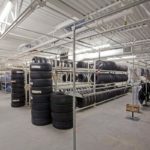 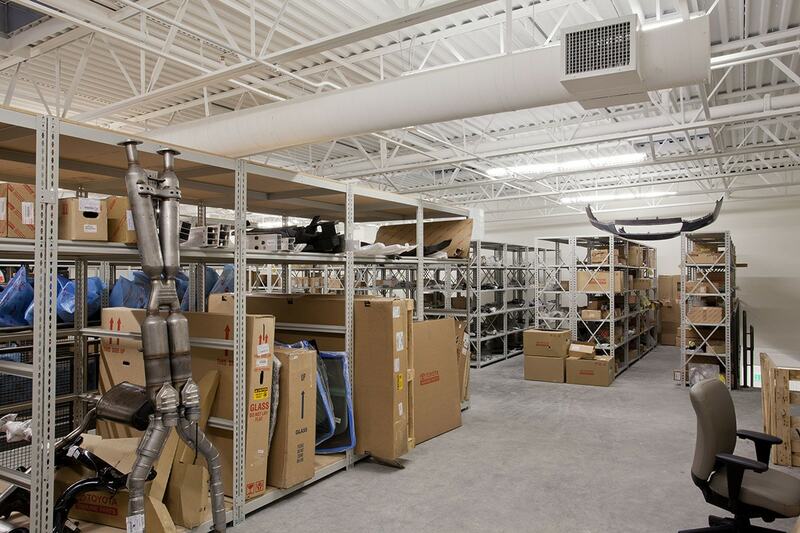 Some of the mechanical features include eight Trane rooftop units, a vehicle tailpipe exhaust fan system, 21 radiant heat units, and additional specialty and support fan and conditioning systems.